On the 4th of July we didn’t do anything too special, unless you count lots and lots of home projects.Knowing it was going to be a busy day of projects I decided I wanted to do something quick in the crockpot and still yummy! One thing I love in my house is our crockpots. I use them pretty much all the time and I love trying out my favorite recipes in them. 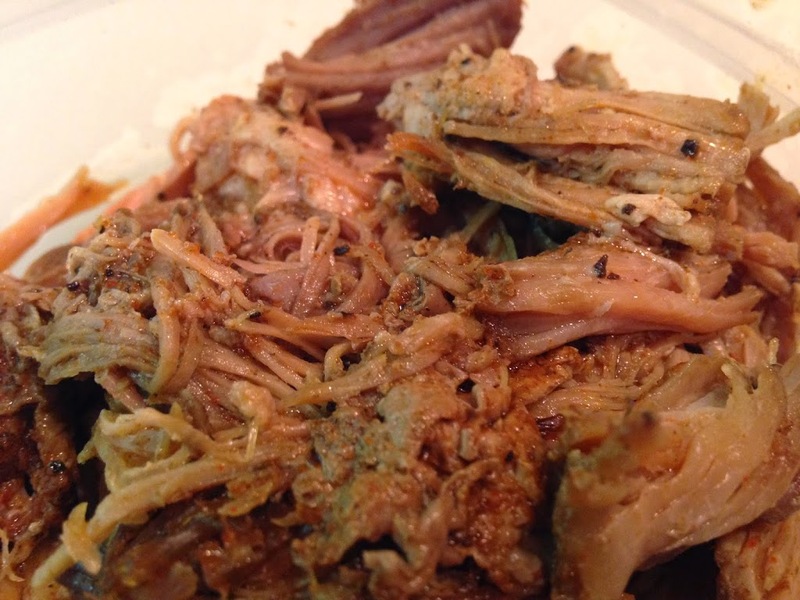 My husband gives two thumbs up for this delicious pulled pork I make in the crockpot and it’s so simple any busy mom will love it too! Put your pork shoulder in the your crockpot and then give it a good rub down with the seasoning mixture. Make sure to lift any pieces that might be overlapping on the pork roast. Add you water to the crockpot. Serve on kaiser buns or hamburger buns with your favorite BBQ sauce.